A helmet is one of the most important pieces of safety equipment in the sport of football. It can help prevent or reduce the risk of skull fractures and severe brain injuries, according to the United States Consumer Product Safety Commission. 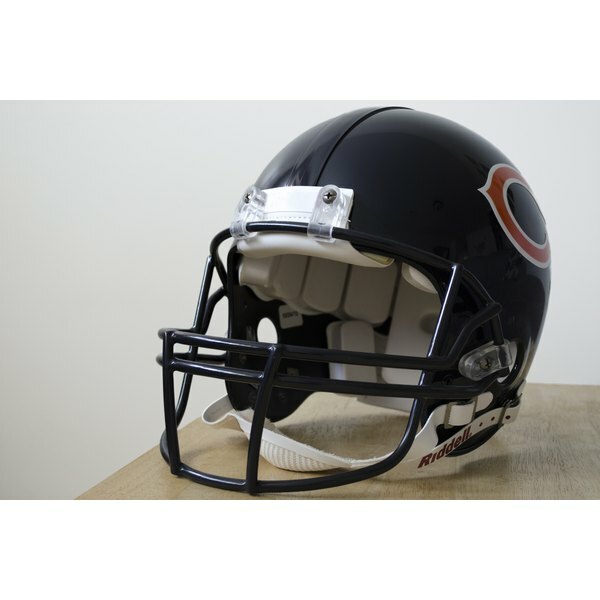 In order for a helmet to work properly, you have to ensure it fits the player correctly and has all the required pieces in place, including the chin strap. If a helmet doesn't have one or needs a replacement strap, you can usually put a new one on yourself. Find the snaps on the sides of the helmet. There should be two on each side of the face guard. Attach the chin strap by positioning each side of the strap over the snaps you found on each side of the helmet. Press down until the snaps from the strap and the helmet each snap together. Try your helmet on, place your chin in the chin cup and adjust the chin straps until they hold your helmet on snugly. Each side of the strap should have equal tension. Never play without the chin strap since not having it on could allow your helmet to fall off on contact, warns The National Football Foundation and College Hall of Fame, Inc. The National Football Foundation and College Hall of Fame, Inc.: Schutt Sports Describes "The Perfect Fit"